Backup is nothing without recovery. From a single image-based backup, Veeam Backup & Replication provides a wide range of capabilities that can help you tackle virtually any recovery scenario. Best of all, Veeam ensures you get exactly what you need—virtual machine (VM), file-level and application-item recovery, and eDiscovery — when you need it through its agentless, easy-to-use and wizard-driven UI. 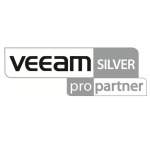 for Microsoft Exchange, Active Directory, SharePoint, and SQL Server, Veeam Explorer for Oracle — and more! achieve RPOs of < 15 minutes. Veeam Backup & Replication automatically tests every vSphere and Hyper-V backup and replica, every time. Have confidence that your files, applications and virtual servers can be restored when needed. With Veeam Backup & Replication and Veeam ONE, you can take control over your entire backup and virtual environment. By utilizing all of the features and capabilities of Veeam’s backup and virtualization technology, you can discover and be alerted to issues before they affect your Always-On Business.